Are systemic inflammatory biomarkers in the blood potential prognostic markers of overall survival in pancreatic cancer? NLR has been shown to be a prognostic marker for survival among patients with pancreatic cancer. This study aimed to evaluate eosinophils and the eosinophil-to-lymphocyte ratio as a potential prognostic marker in this population. The retrospective study included 57 consecutive patients diagnosed with locally advanced, stage I to III pancreatic cancer who underwent treatment with gemcitabine plus external beam radiotherapy (45 Gy) at a single institution. Immune cell counts were determined from blood samples collected at diagnosis. The cutoff values were determined to be 1.9 for NLR and 0.11 for ELR based on ROC curves. At diagnosis, the median age was 66 years and 58% of patients were male. Most patients had stage IIB-30 disease (52.6%), followed by IIA-9 (15.8%), and III-8 (13.5%). 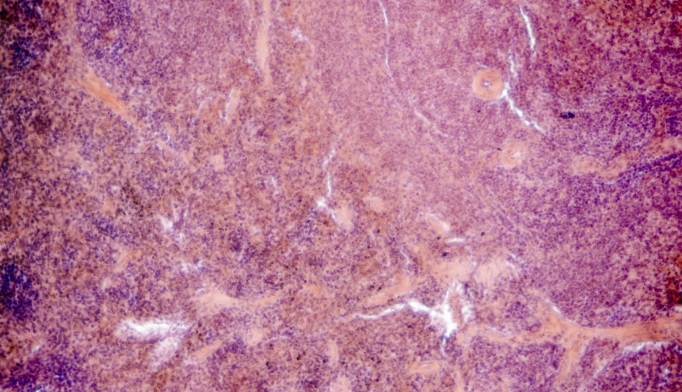 The disease was primarily adenocarcinoma (77.2%) and located within the head of the pancreas (71.9%). NLR greater than or equal to the cutoff was significantly associated with a shorter OS, with a median OS of 14.6 months (95% CI, 10.8-18.4 months) compared with 26.2 months (95% CI, 13.4-38.9 months) with a lower value (P = .033). Patients with an ELR at or above the cut-off value demonstrated a longer median OS of 21.4 months (95% CI, 11.0-31.7 months) compared with 15.6 months (95% CI, 11.5-19.7 months) with a lower ELR value (P = .067).